Halal-a-palooza is an Islamic culture fair, with different booths from around the world representing countries that Islam has impacted. Each booth will have a brief history of how Islam has influenced its country, cultural facts, authentic snacks, and little trinkets and clothing from that country. 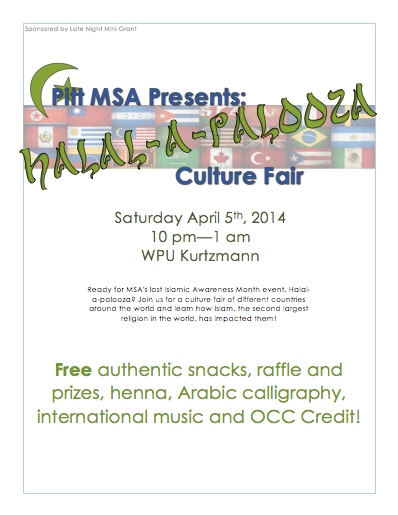 This event is part of the Pitt Muslim Student Association's Islamic Awareness Month.